Netflix’s speed testing service Fast.com has gone through a small revamp, and it now comes with new functionalities, announced Netflix on Tuesday. 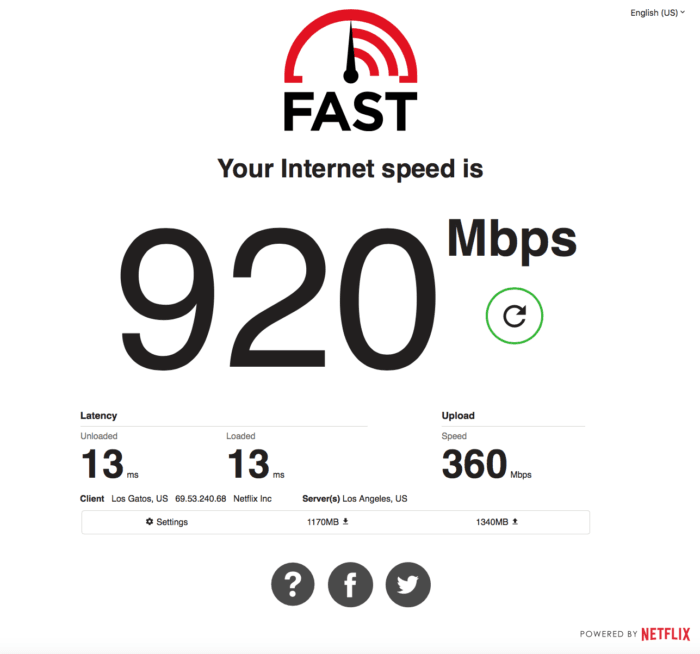 Speaking more about the newly added features on the speed testing website, Netflix highlighted that now Fast.com will be able to inform users about latency and upload speeds as well. The site will also be doing away with ‘Compare with Speedtest.net results’ feature in its latest iteration. The website will tell users about both loaded and unloaded latency (explained below) also. Since the launch of the service in 2016, the website, Fast.com has gained significant popularity for speed testing owing to its straightforward minimalistic design. Also, Netflix highlighted that the service had registered over half a billion speed tests, with the number doubling in the last seven months alone. Speaking about the new features, Netflix said that now Fast.com will be able to give out details like the client, IP address, server location, and the amount of data used during the speed test. Besides, a settings tab will allow users to tweak options like parallel connections and test duration. Notably, since the server of Fast.com and Netflix are the same users will be able to get a pretty accurate hint about what kind of speeds they will be able to experience on Netflix. For the users’ awareness, it’s worth knowing that unloaded connections are those where there is no other traffic present on the user’s network and loaded connections are the ones that have data-heavy applications running simultaneously on the same network. For good speed, it is necessary that both loaded latency and unloaded latency be in close proximity.